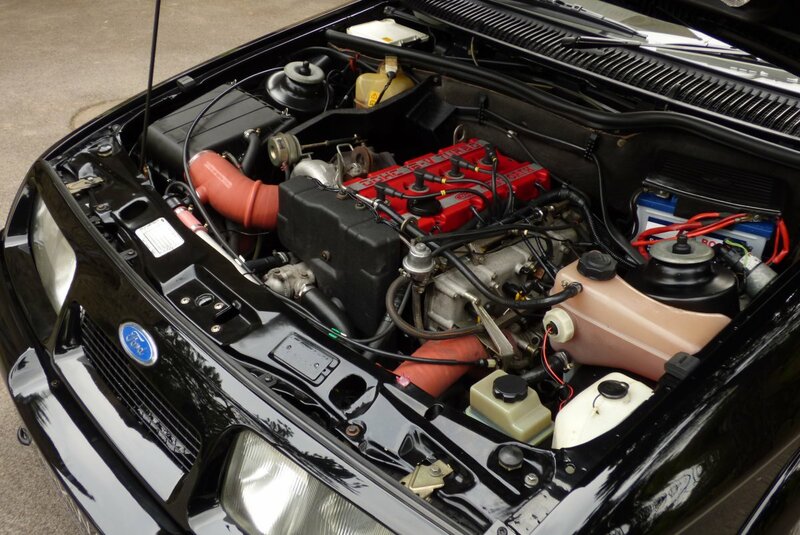 Ford And Cosworth Together Have Been Synonymous With Success Since 1959, When The 105E Ford Anglia Engine Was Tuned For The Formula Junior Racing. 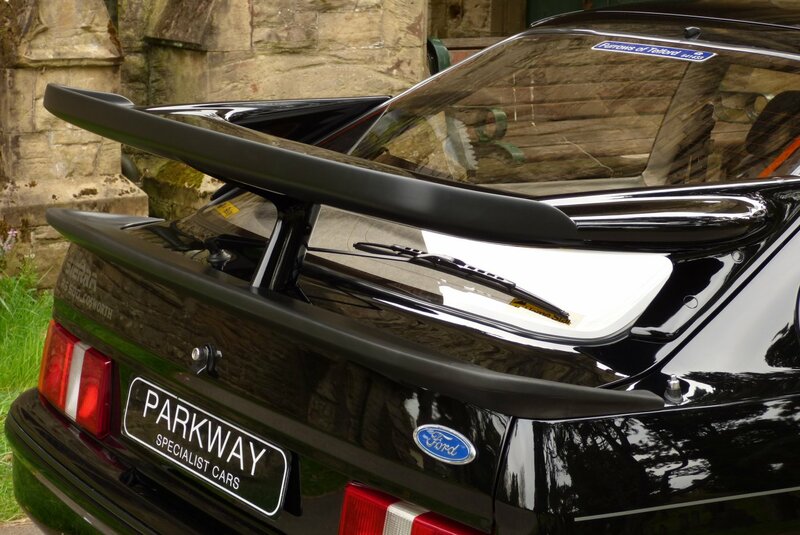 Just Eight Years After This Point, The Ford Cosworth DFV Made Its World Debut In The Dutch Grand Prix, Where The Three Litre V8 Powered Jim Clark And His Lotus 49 To Victory. 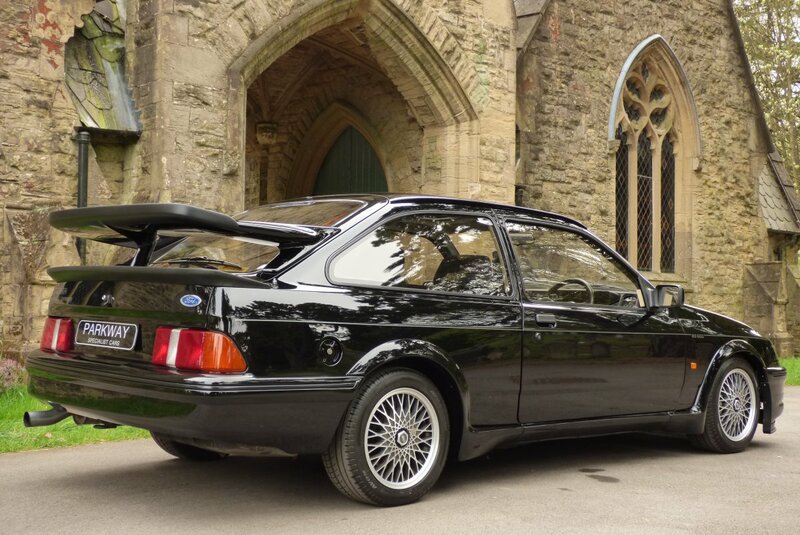 This Infamous Engine Design Then Went On To Win No Less Than 155 World Championship Races, Thus Making The Partnership Between Both Ford And Cosworth Rather Special For The History Books. 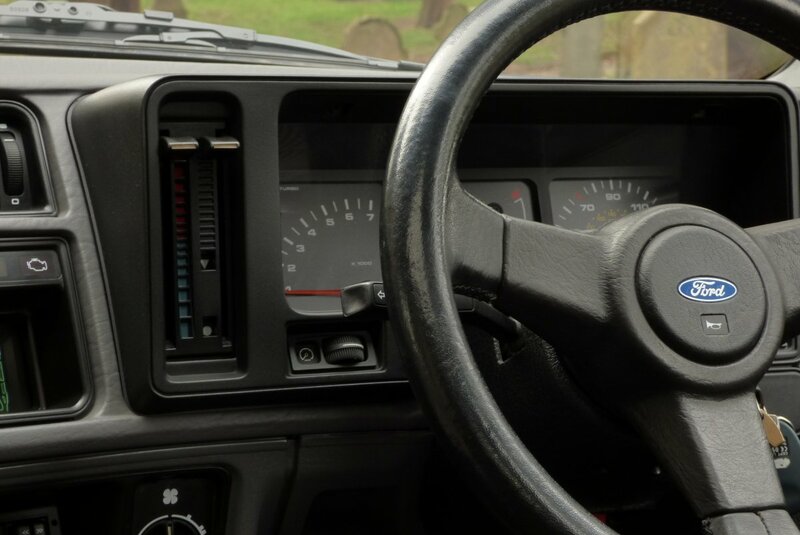 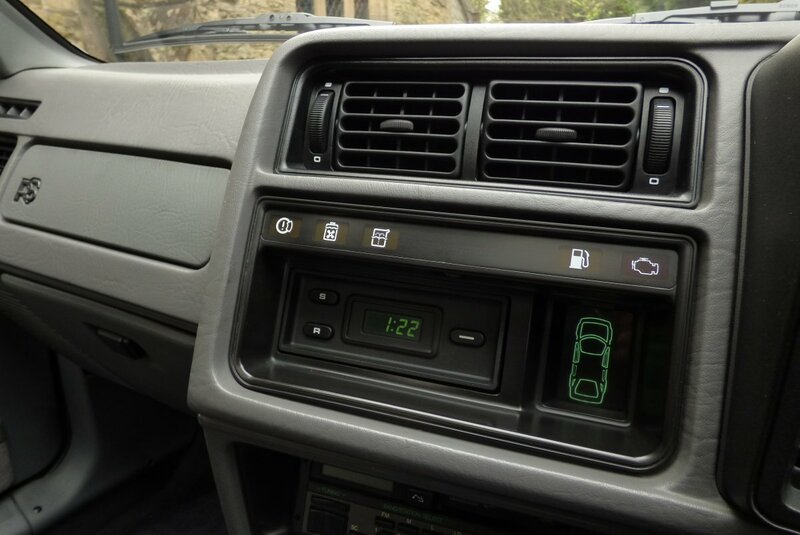 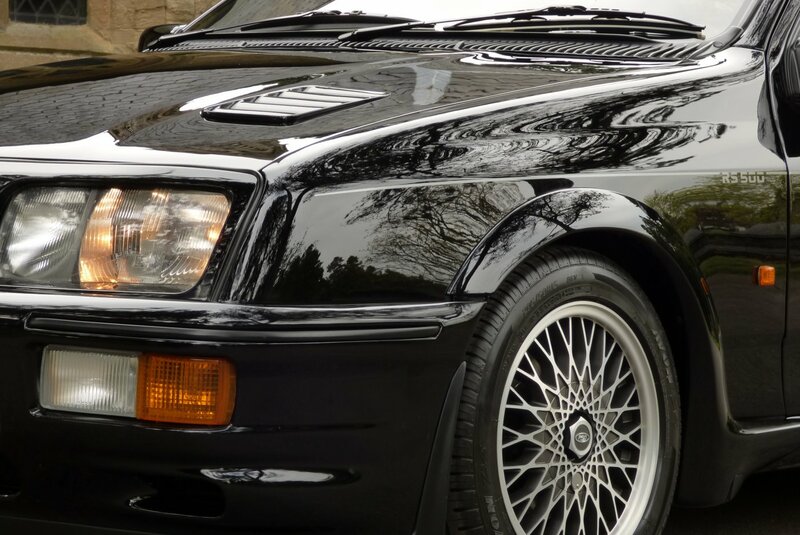 In The March Of 1987, Aston Martin Tickford Was Signed For The Job Of Converting Just 500 Cars And In July 1987 The Car Was Announced To The World And Was Homologated In The August Of 1987. 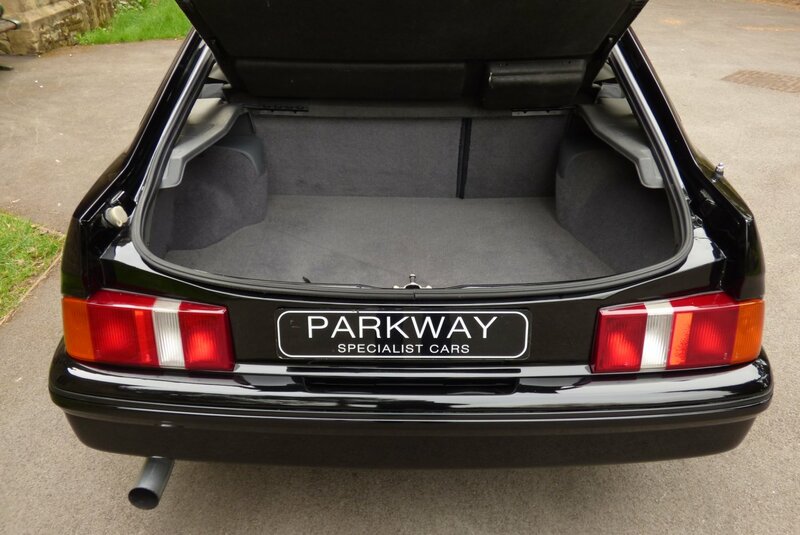 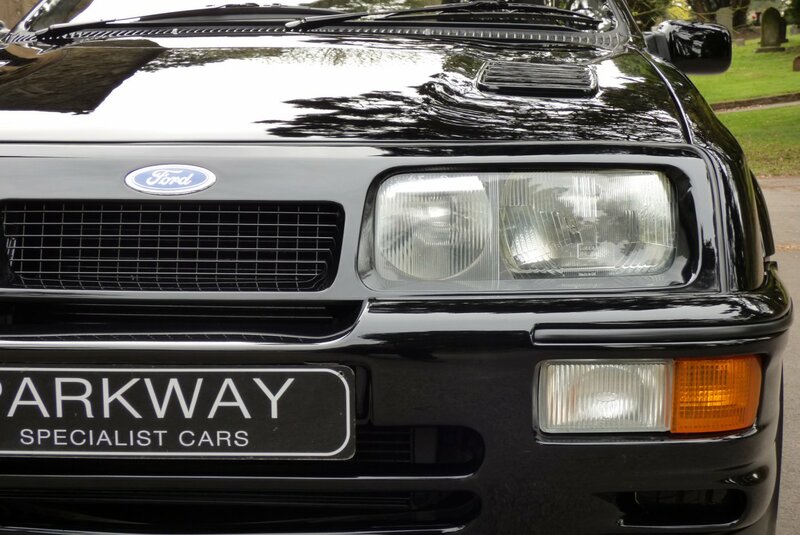 Exactly 500 Of These Improved Powered Cars Had Been Offered, With All Units Offered Purely As Right Hand Drive Versions Destined For The UK Only And If We Fast Forward Thirty Years To 2017, This Fabulously Rare Modern Day Classic Is Due To Celebrate A Birthday Milestone ............(Happy 30th). 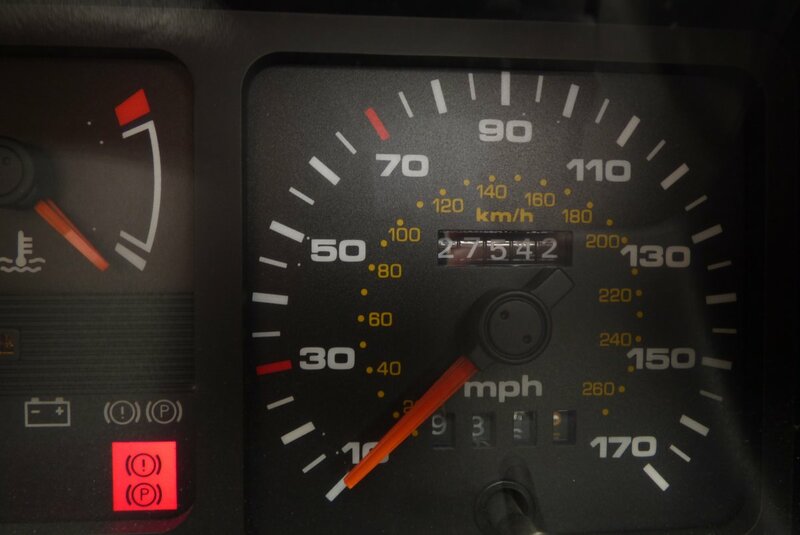 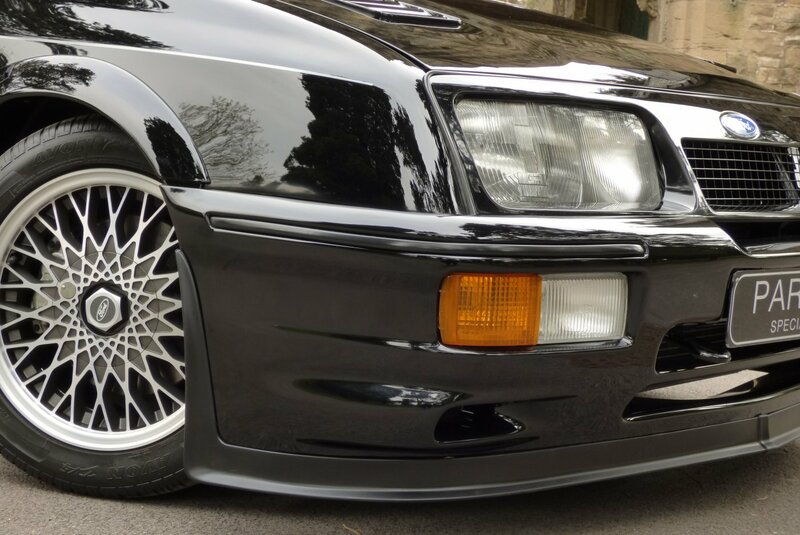 The Engine Inherent Efficiency Was Boosted By The Garrett T31/T04 Turbo-Charger, That Was Mounted Onto A Special Four Branch High Nickel Alloy Manifold And At The Time Of Testing, Ford Reported Figures Of 224 BHP, Which Would Rocket Buyers From 0-60 In 6.2 Seconds And An Astonishing Top Speed Of 153 MPH. 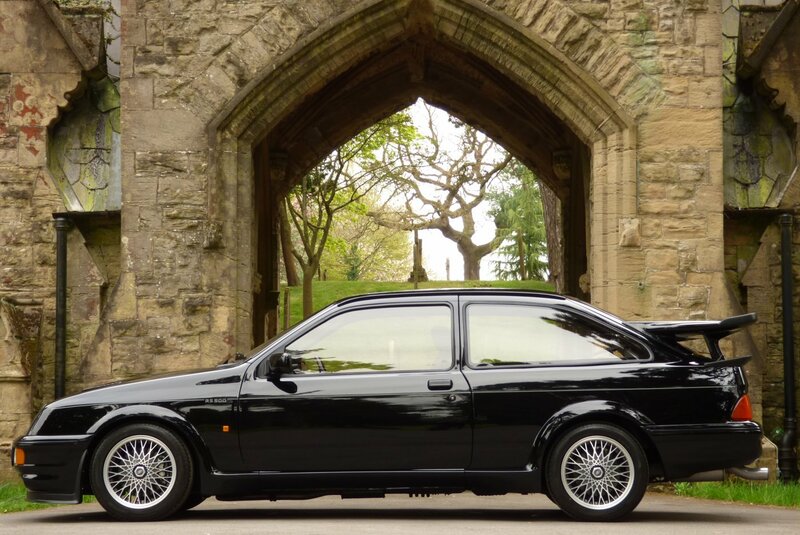 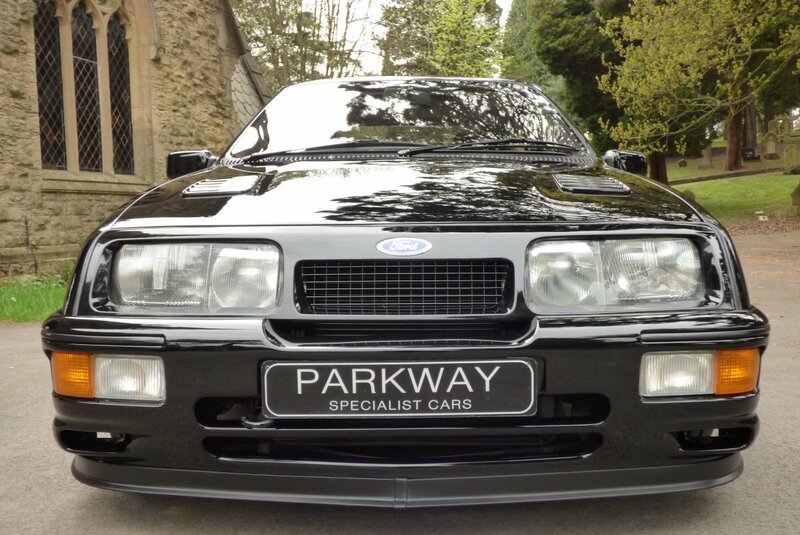 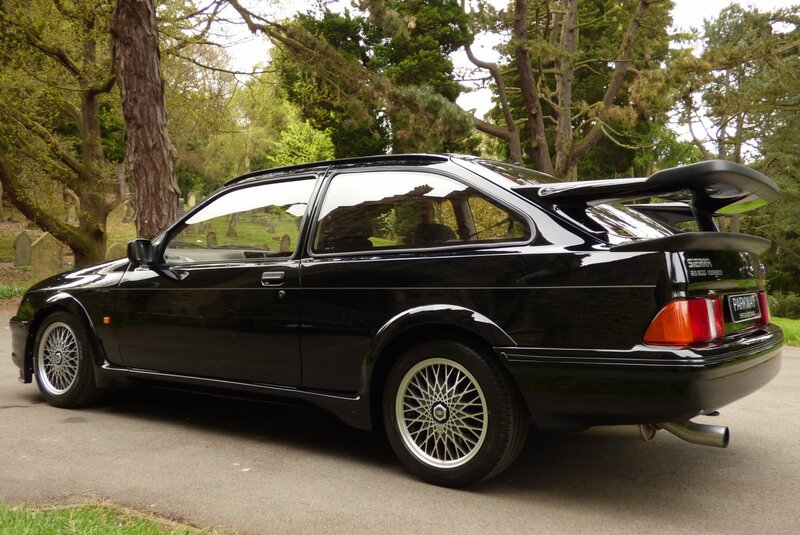 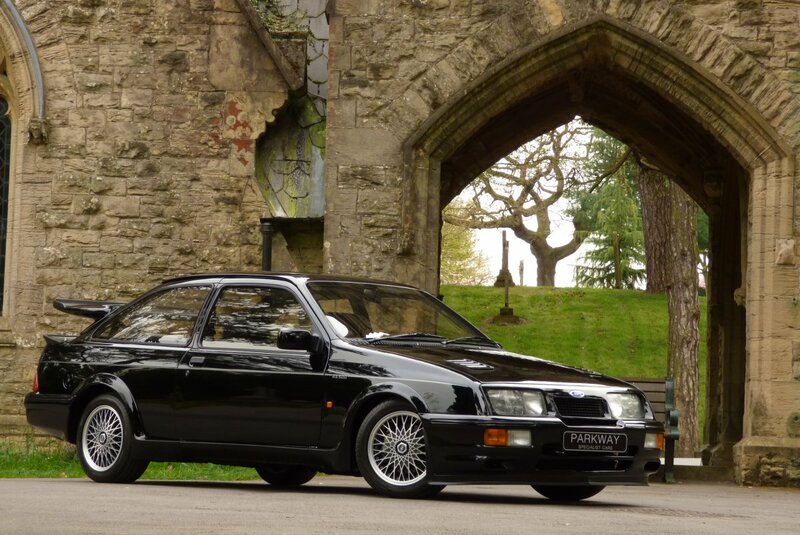 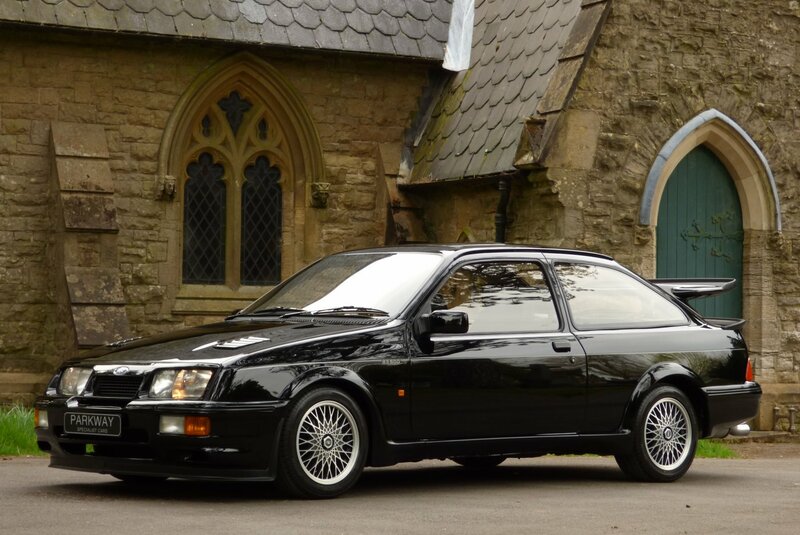 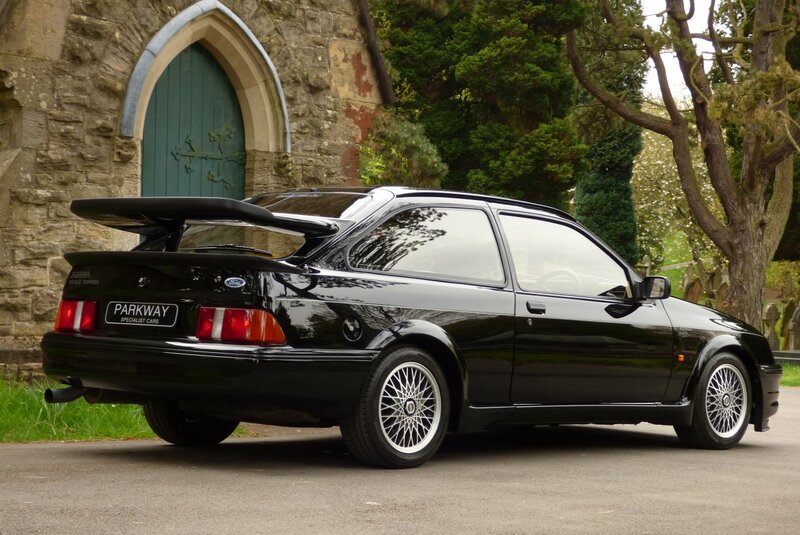 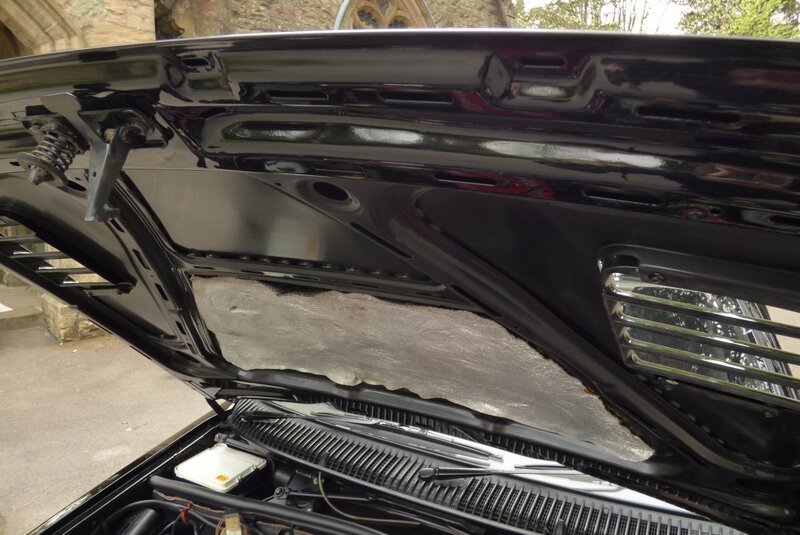 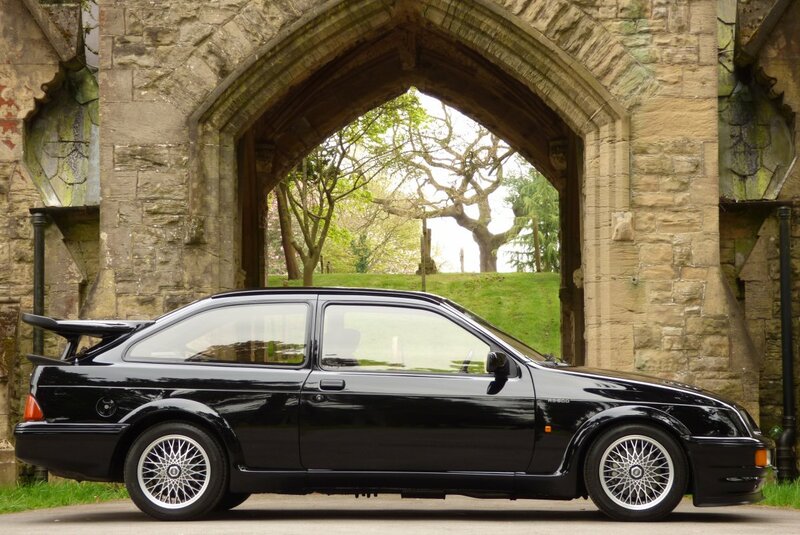 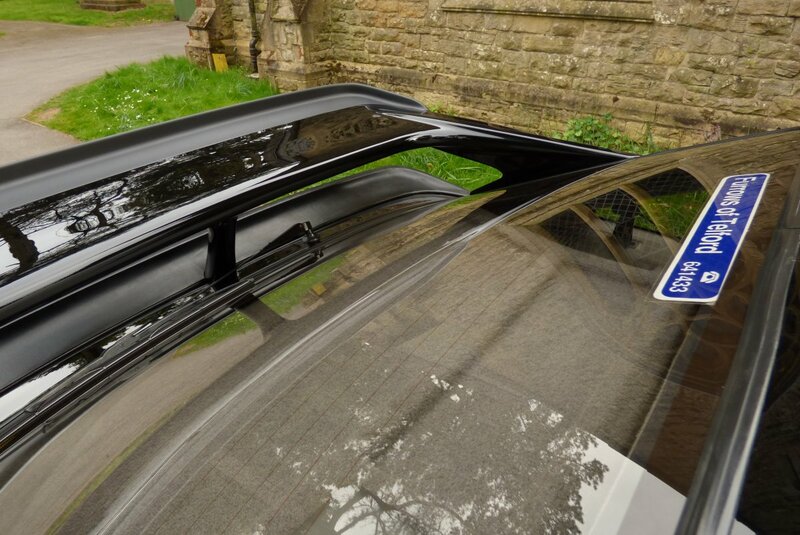 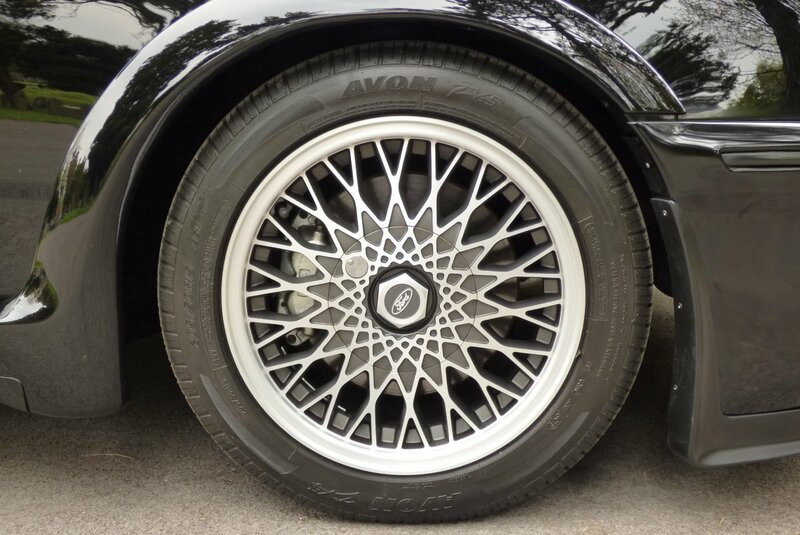 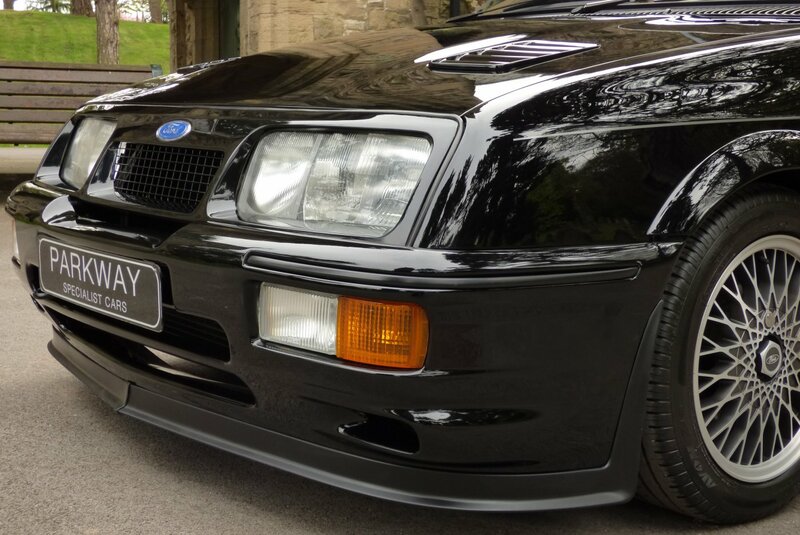 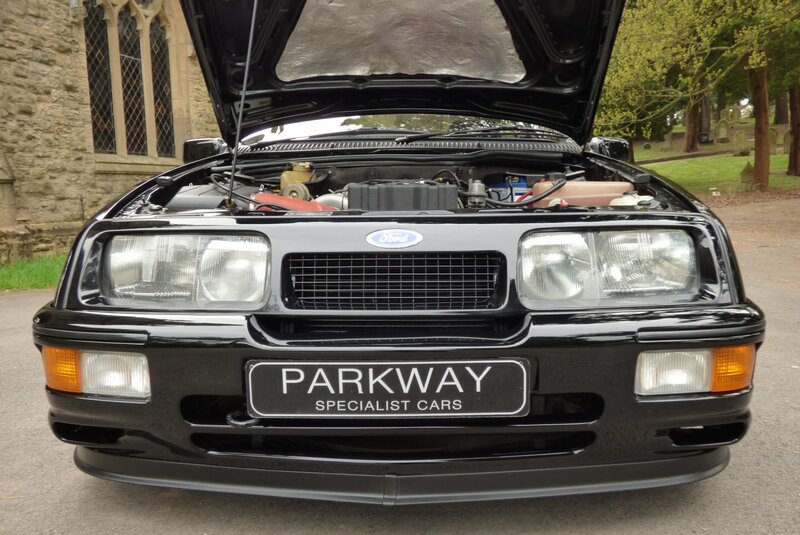 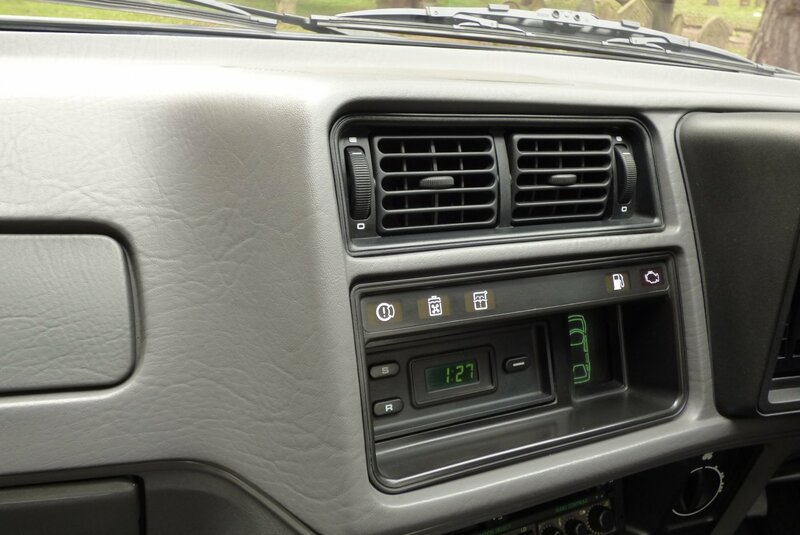 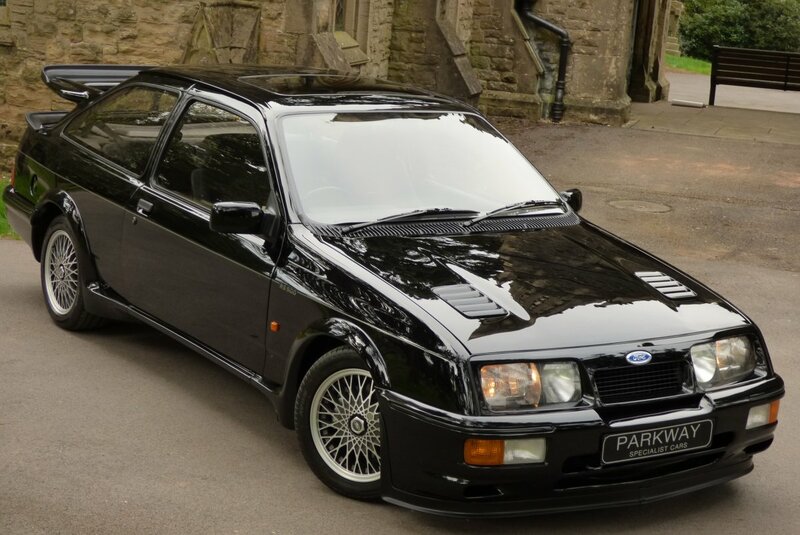 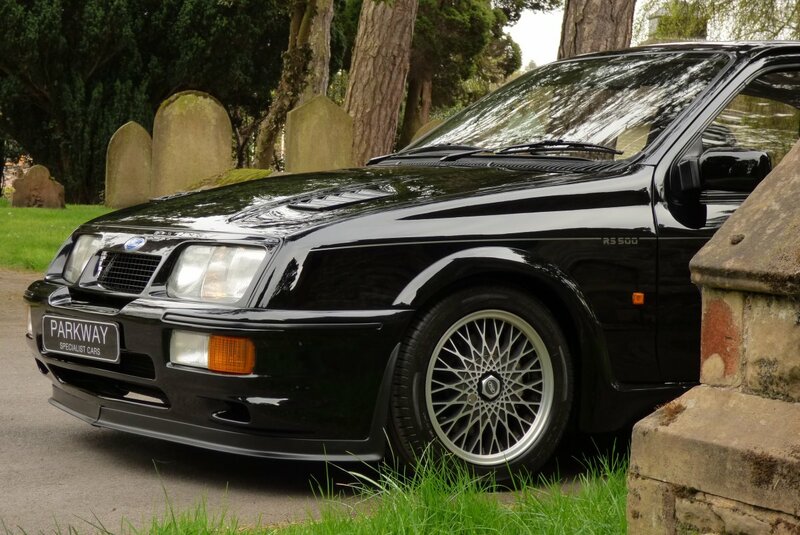 Due To The Limited Numbers Ever Made, This Collaboration Between Ford And Cosworth Has Now Become Highly Desirable To Today's Collectors/Investors, With Many Wanting Perfect Cars With Minimal Mileage Usage, Low Keeper Changes And Of Course Presented In Total Factory Unmodified Specification. 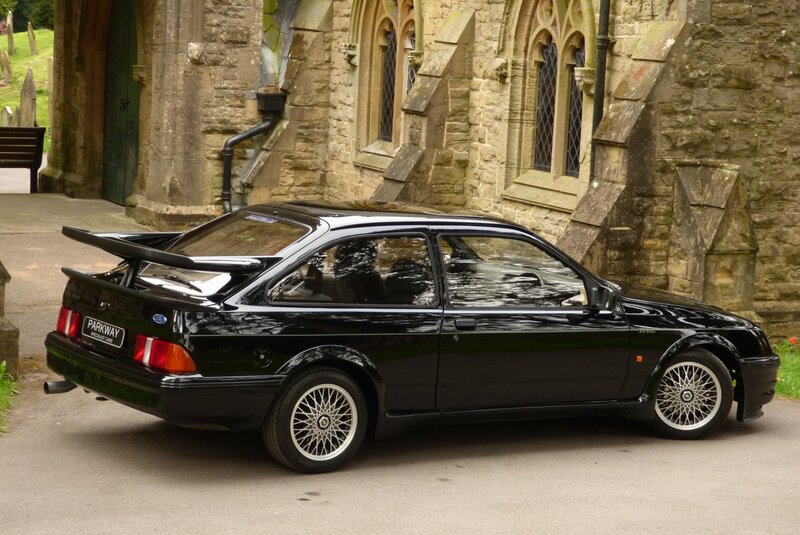 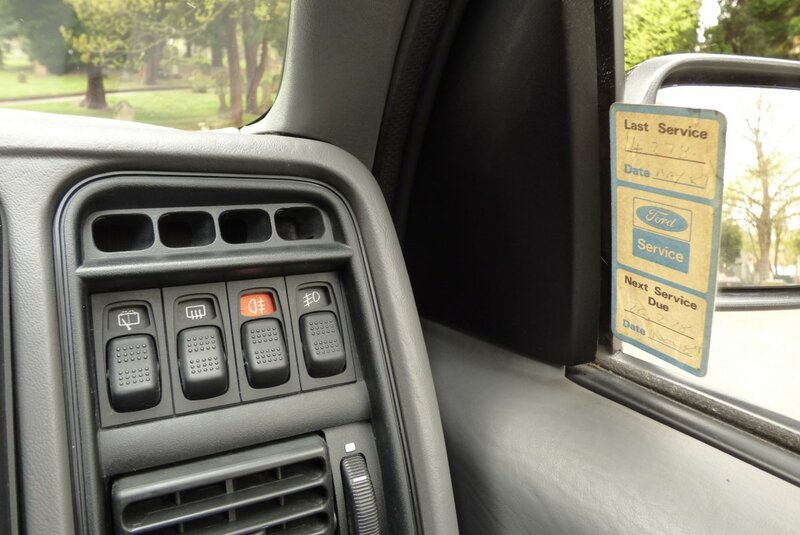  With All This Said, This Two Keeper With Ultra Low Mileage Offering May Be The One To Acquire For That Already Established Modern Day Classic Collection, Which Is All Packed Up With An Extensive Historical Past Service Record, A Full Booklet Pack Set, The Original Ford Sales Literature And Of Course The Entire Key Set. 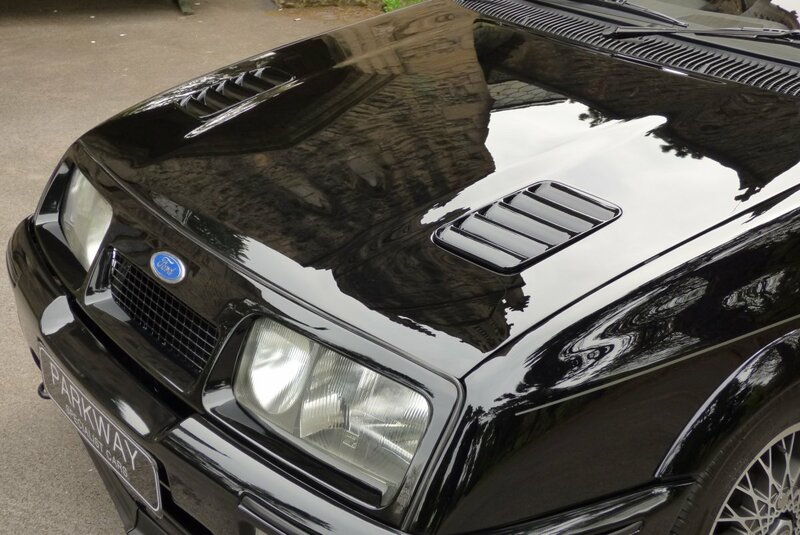 The Opportunity To Acquire A Blue Chip Motoring Legend. 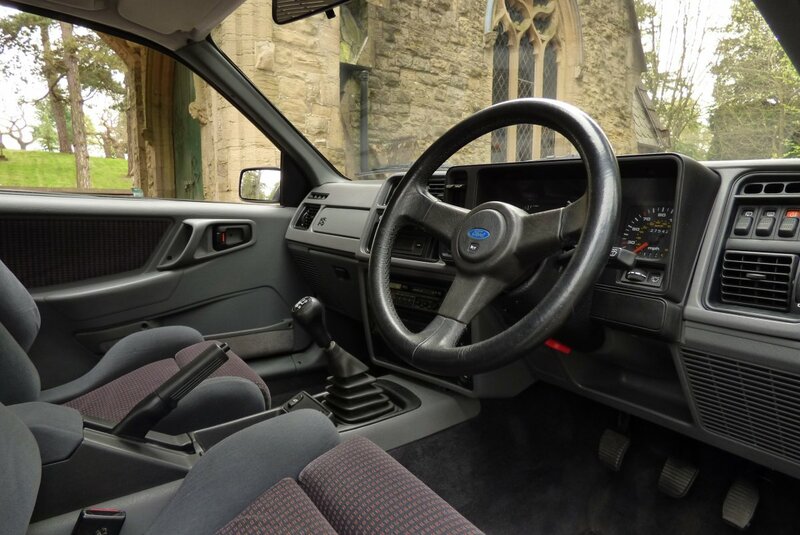 The Interior Of The Ford RS500 Offered A Combination Of Race Winning Power With Equal Levels Of Comfort, Convenience And Refinement. 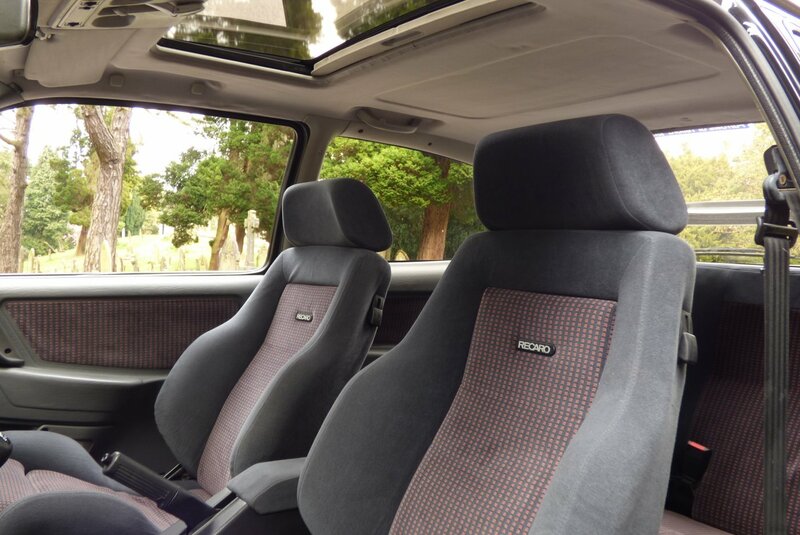 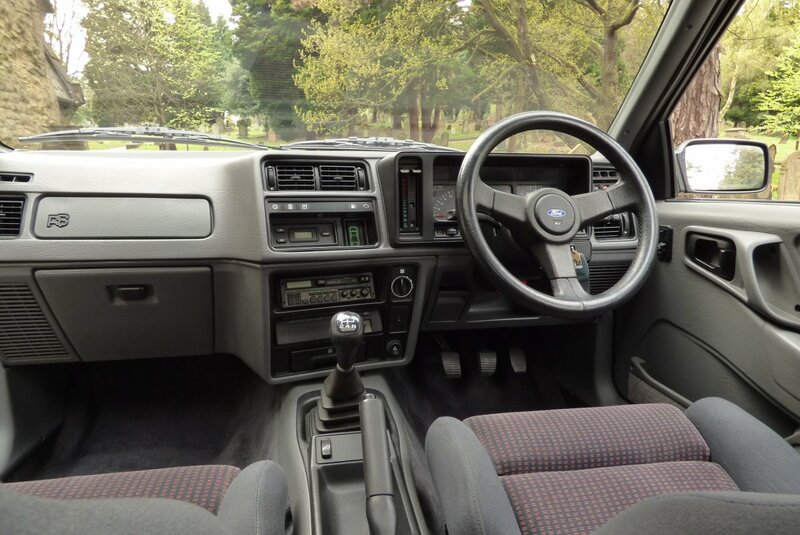 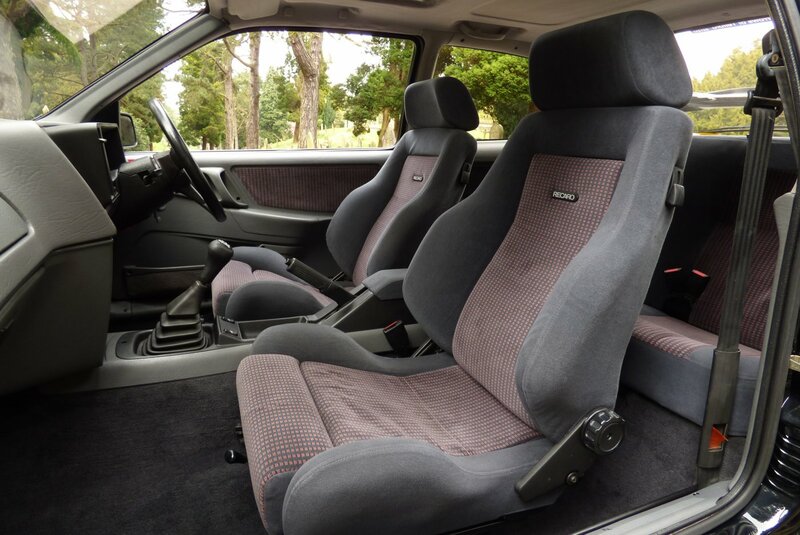 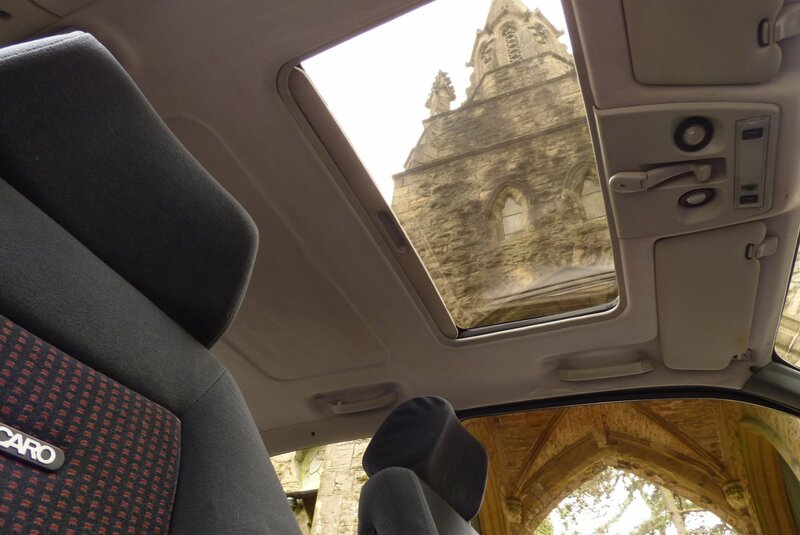 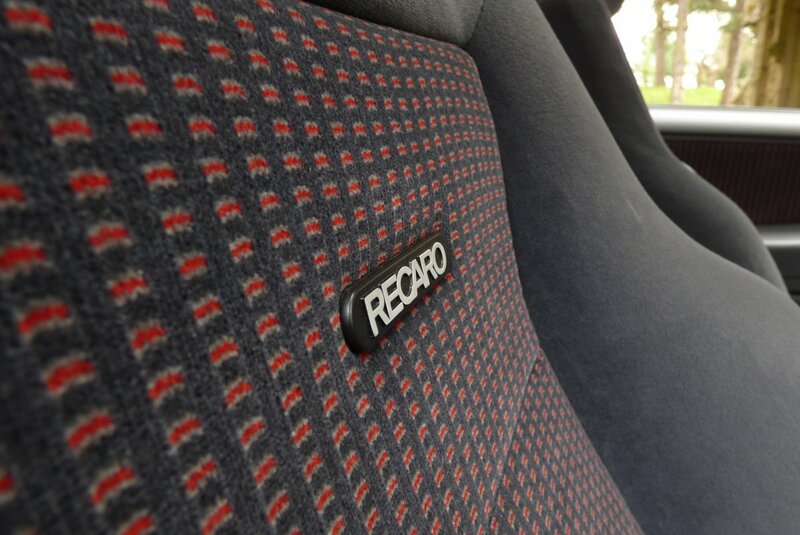 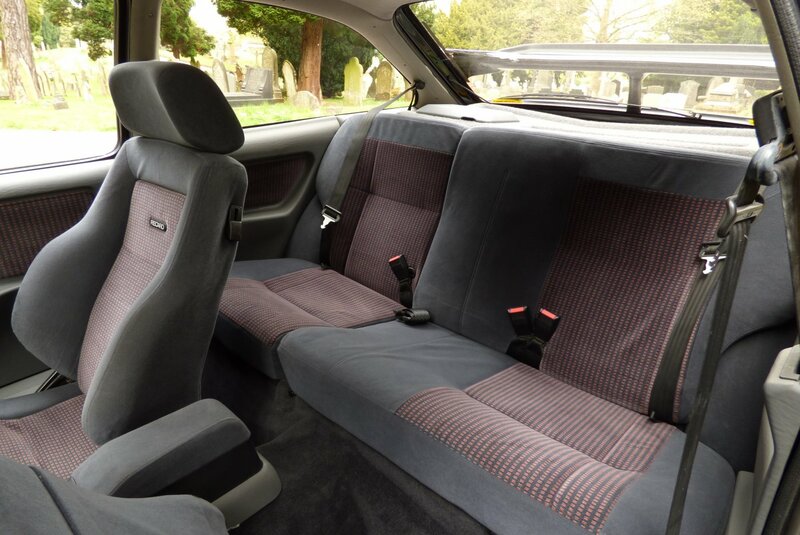 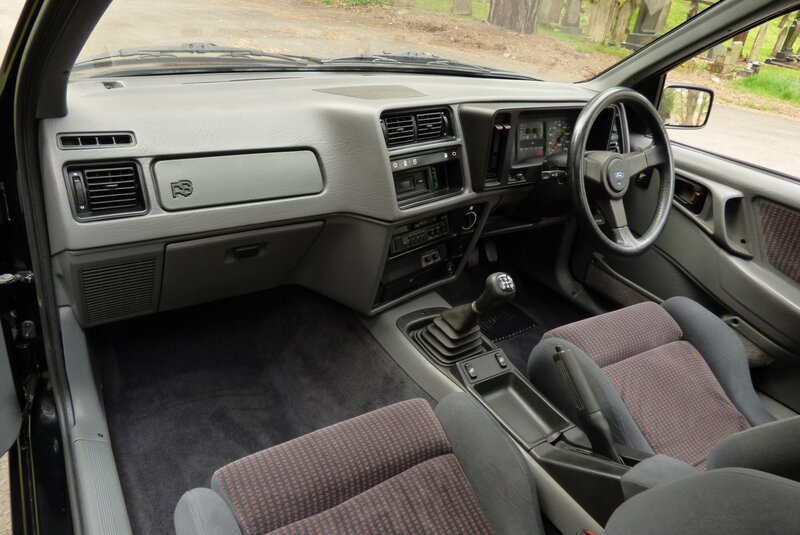 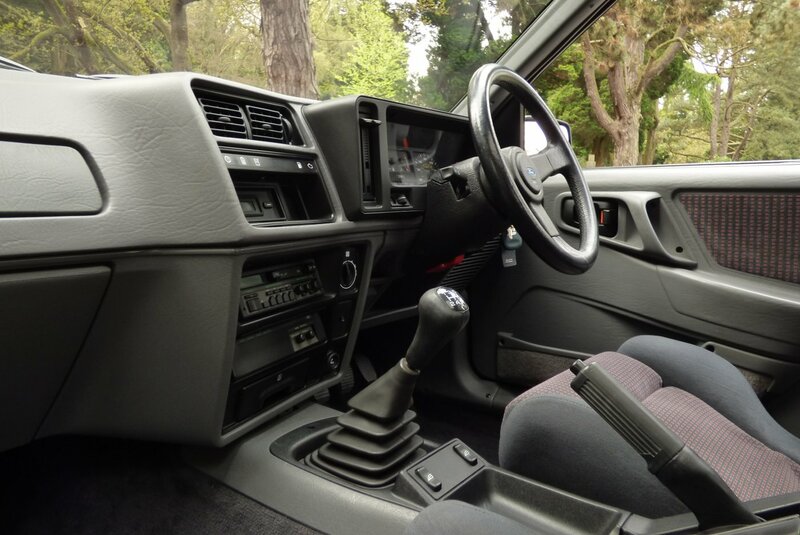 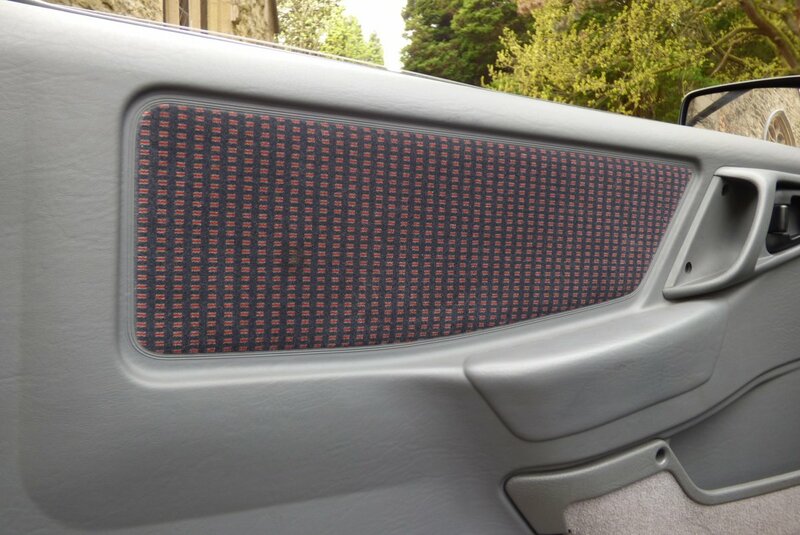 The Cockpit Features Recaro Embossed Grey Roma Sport Seats Detailed With Light Grey Twin Needle Stitchwork, Cloth Trimmed Door Cards, A Light Grey Cosworth Embossed Dash That Wraps Around The Cabin Space, Darker Grey Carpets And Light Grey Beaumont Cloth Roof Lining. 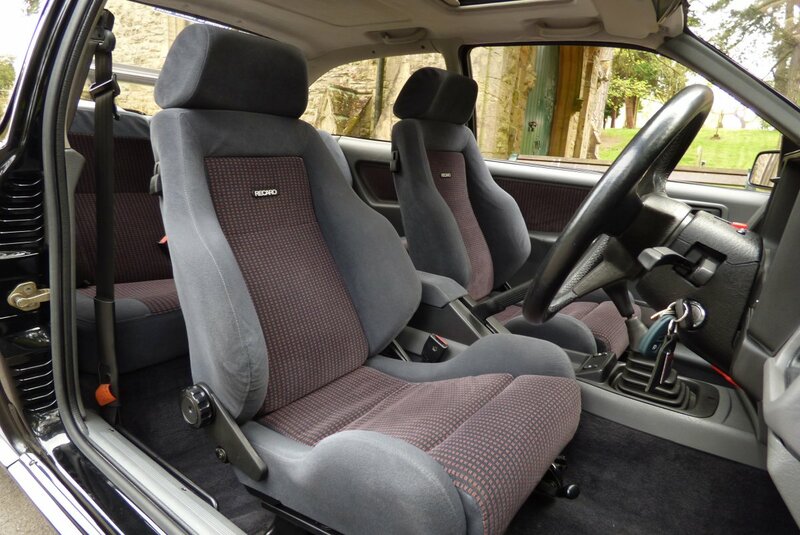 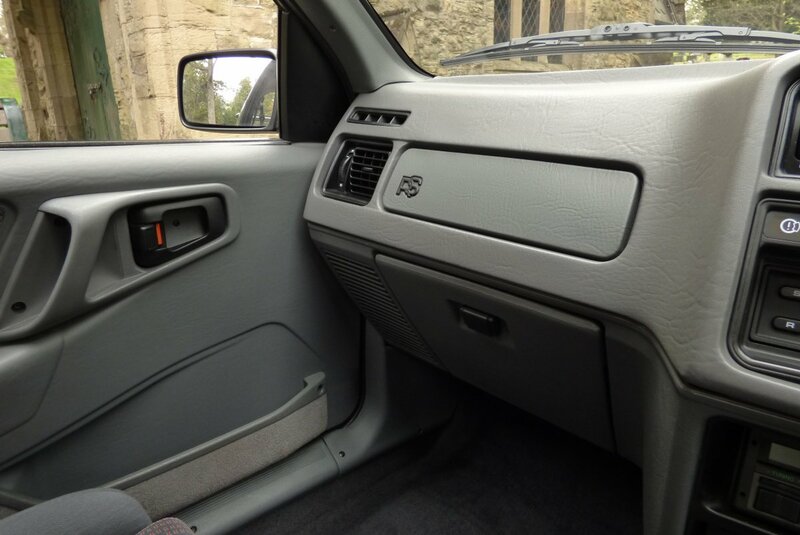 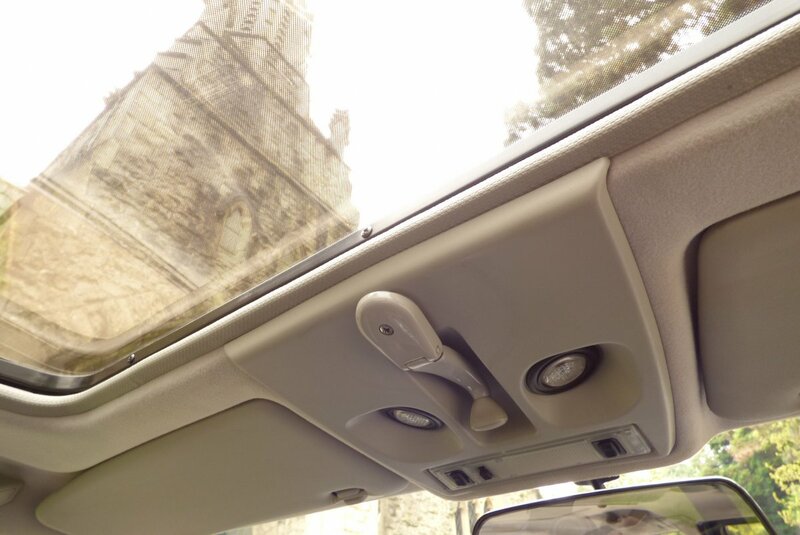 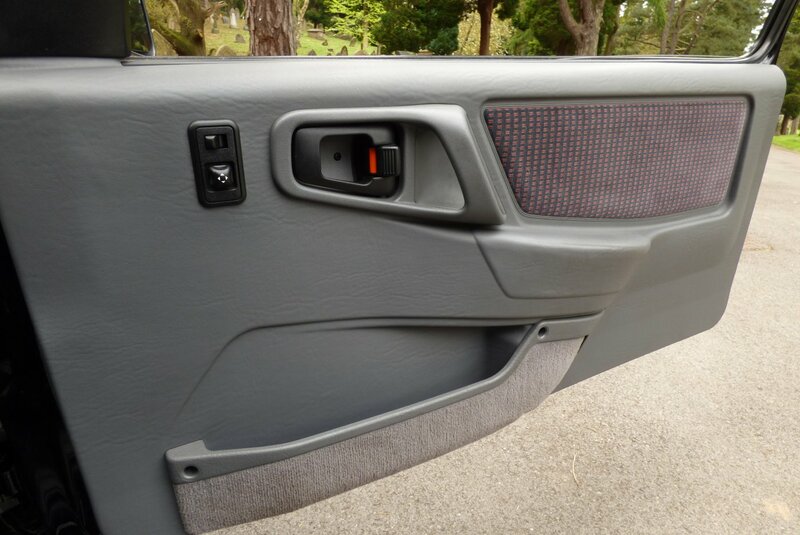 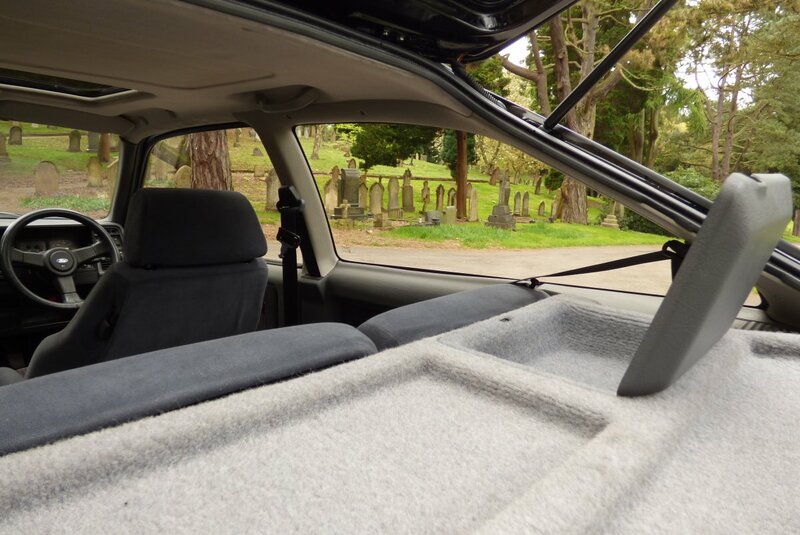 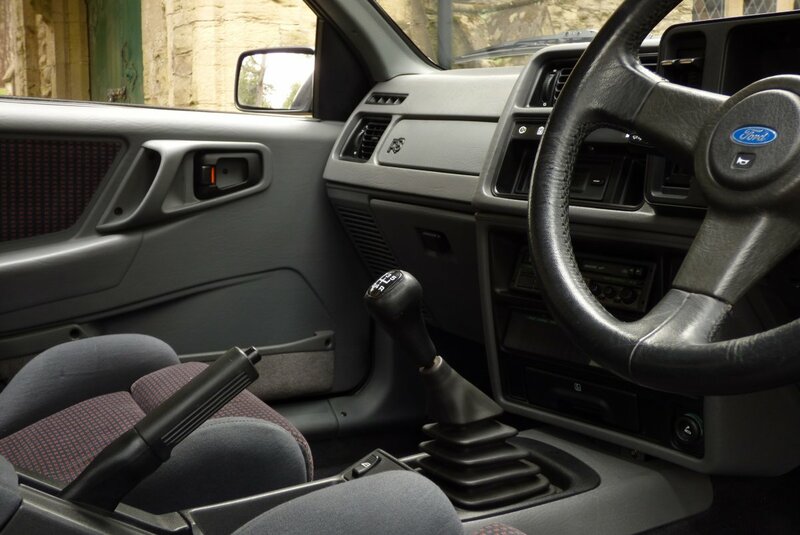 The Interior Was Not Only To Offer The Driver And Passenger A Comfortable Environment, But Also With The Fully Adjustable Front Seats, Provided The Lateral Support When Cornering At Faster Speeds. 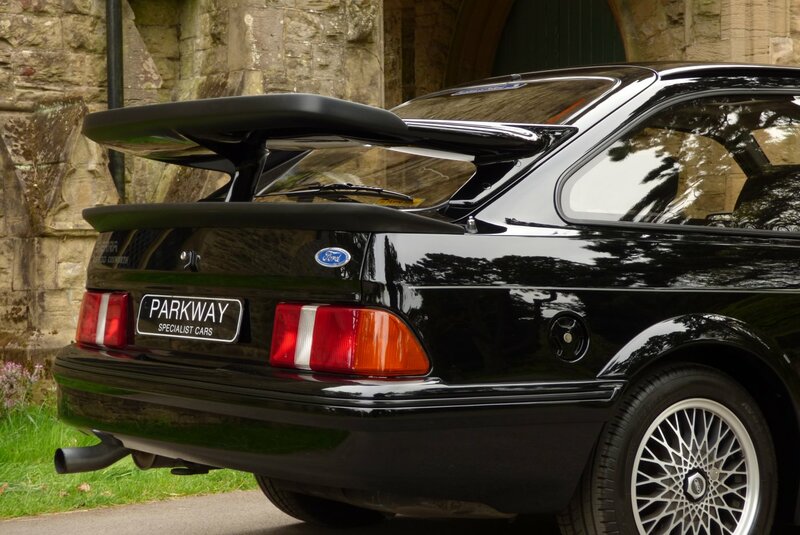 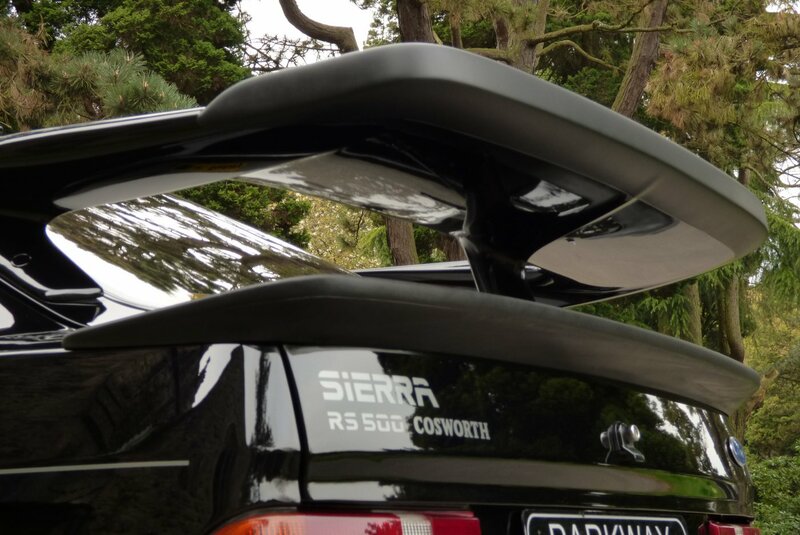 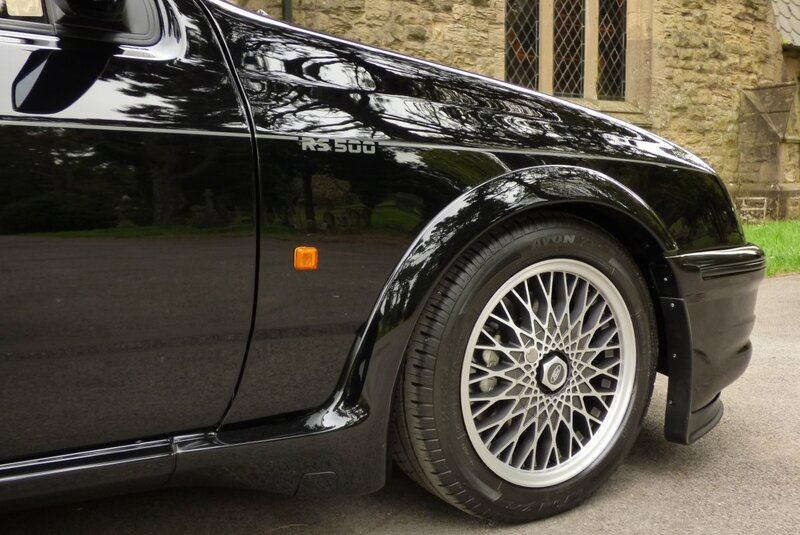 The RS500 Evolved From The Sierra Cosworth With Subtle Enhancements To Include Fitting An Additional Fin To The Rear Wing, High Tech Polycarbonate Bumpers, A Factory Modified Front Skirt That Increased Air Flow To The Engine And The Signature RS500 Cosworth Decorative Side And Rear Badges. 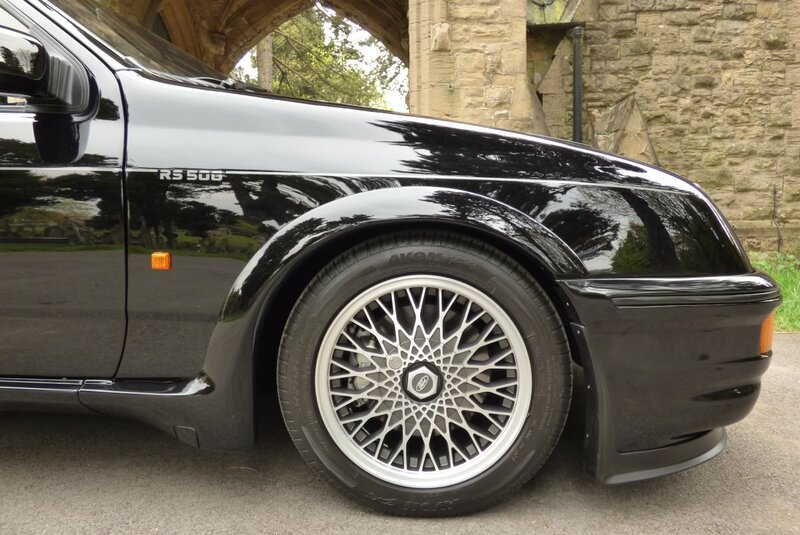 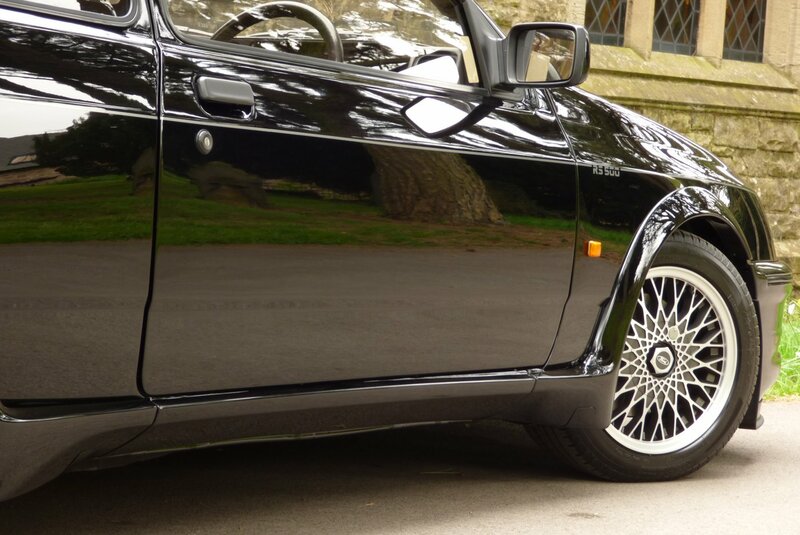 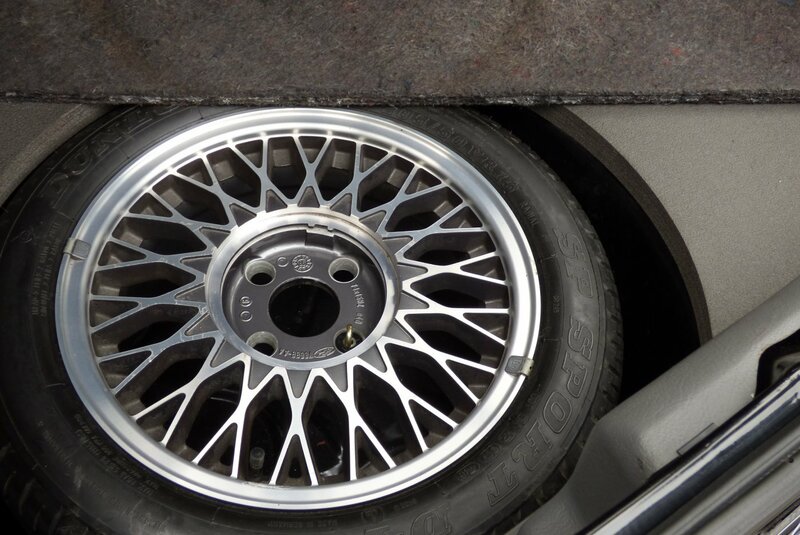 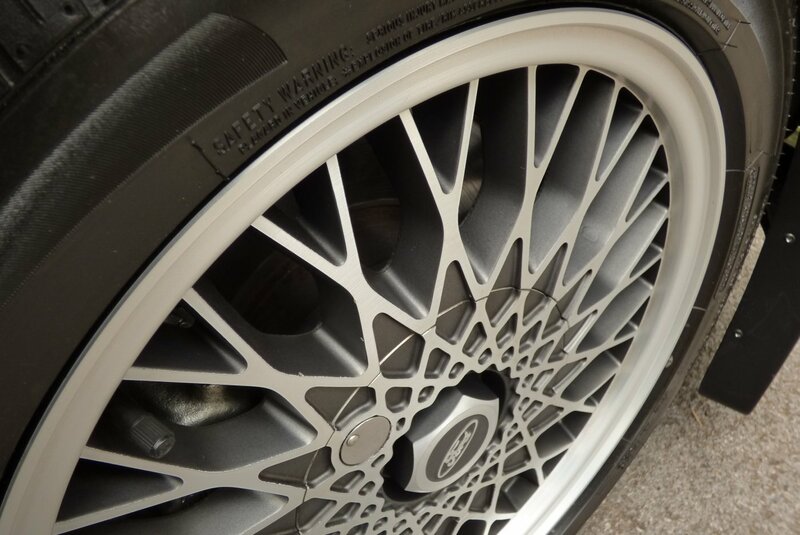 Further More With The 7" x 15" Diamond Tuned Multi Spoke Alloy Wheels, The Famous High Raise Whale Tail Spoiler And Body RS Detailing, Gave This Exclusive Car The Final Aggressive Stance. 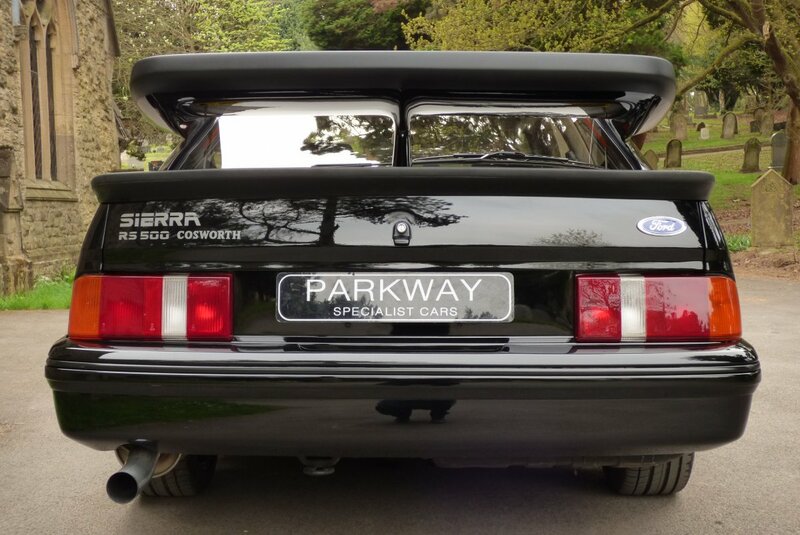 Back In 1987 This Car Was Fitted By The Ford Factory With 7" x 15" Diamond Tuned Multi Spoke Alloy Wheels, The Famous Whale Tail Spoiler, The Recaro Embossed Roma Grey Sport Seats, Optional Ford Front Fog Lights, An RS Embossed Three Spoke Leather Bound Steering Wheel, Ford Tinted Glass, Electrically Operated Four Speaker Electronic Sound System ECU2 With Power Amplifier, Leather Bounded Gear Select, Quartz Digital Clock, Dual Tone Horn, Variable Rate Power Steering, Halogen Headlamps, A Tilt And Slide Sunroof, Electric Windows And Mirror Package, Remote Central Locking With Alarm, Black Mesh Grille With Additional Cooling Vents, Ford Trip Recorder, Storage Bins And So Much More. 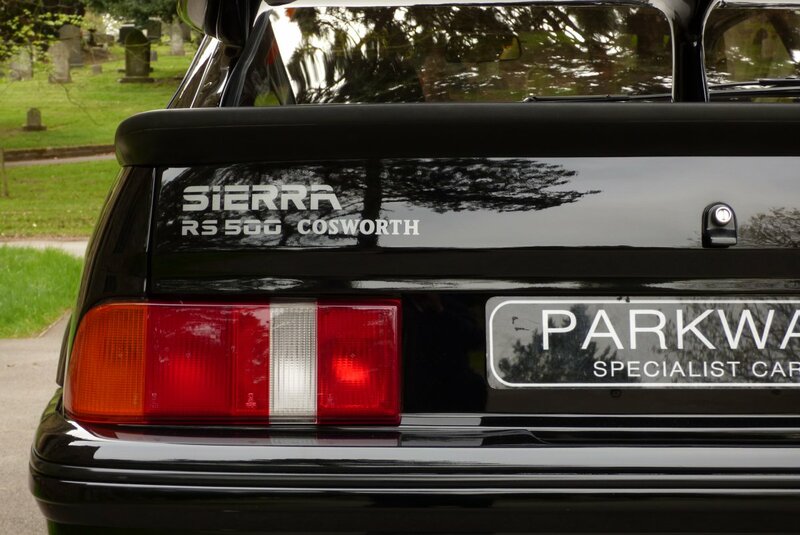 Really, What More Could You Want For.